We LOVE baby bump photo shoots, especially when our lovely clients are willing to trust our visions 🙂 This absolutely stunning mummy to be was one of the winners of our Mother’s Day Facebook competition to win a free Studio Maternity Photo Shoot at our studio in Stoke on Trent, Staffordshire. Paulina was pampered before her shoot had her make up and styling done by me prior to the session. She was ever so brave about the idea of getting in the milky bath full of Lillies, she just stepped straight on in like a pro, thank you Paulina! The photographs came out beautifully and I am really pleased that we got a little more glam for these pictures. 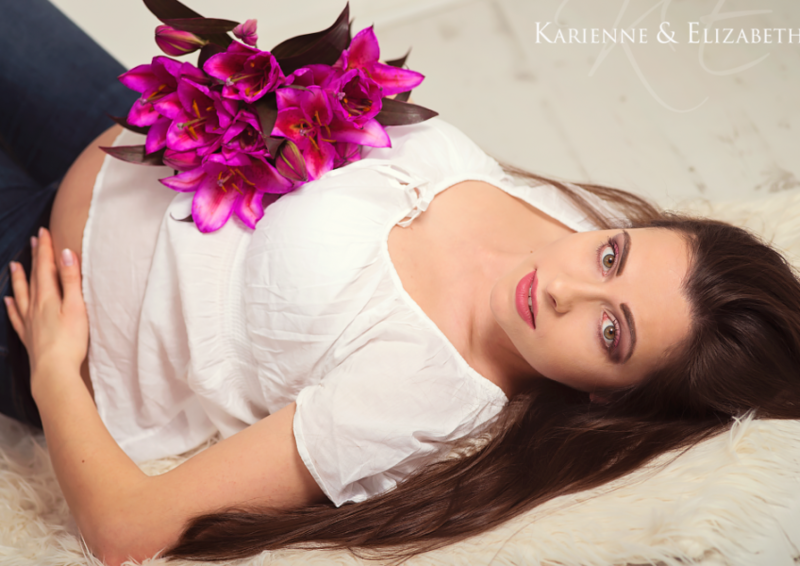 Interested in booking a maternity photo shoot for you and your baby bump? Don’t wait any longer, visit our website for more information. We promise to only dunk you in the bath if you are happy to! For more updates, to see more studio maternity photo shoots, our wedding galleries and regular competitions to win free photoshoots please visit and like our Facebook Page. Have a look at what our lovely clients think about us. We have got lots of reviews on our Page.